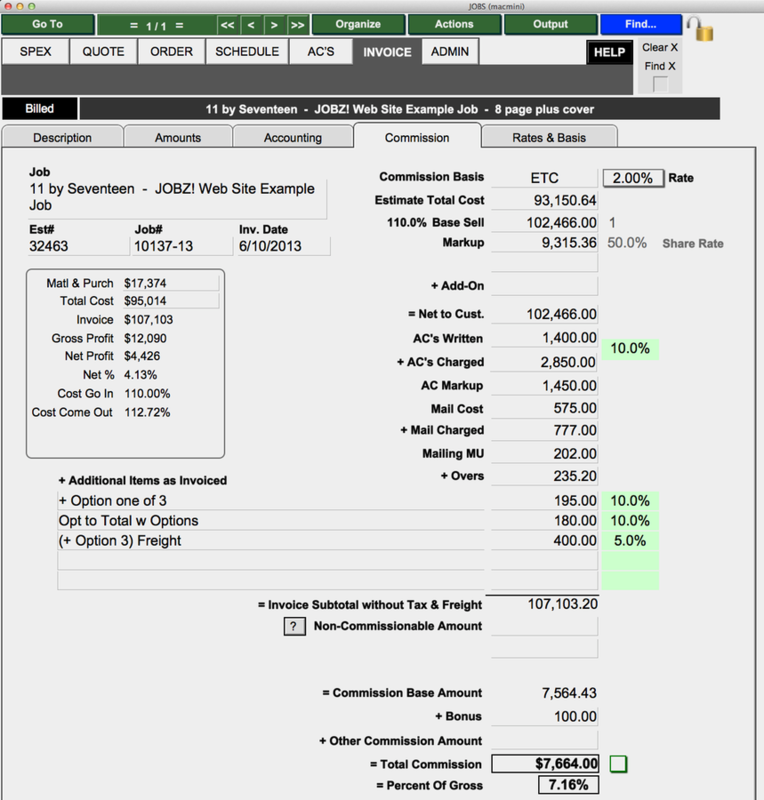 There are a number of commission plans built into JOBZ!, covering the gamut of compensation theories. If we don't quite have the plan you need, we can come up with it. The point is that the sales person can actually visualize his or her anticipated commission at the proposal stage. As long as your company's goals align with the commission plan's incentives, then giving the sales rep pricing discretion will yield the highest price possible on any given job. Then, at the billing stage, the sales rep or a collaborating co-worker can supply a document that shows precisely how the commission should be paid.